On 20 October the Serbian capital’s Museum of Contemporary Art will welcome the public for the first time since 2007 to mark its 50th anniversary, although visitors will have to wait a while yet for exhibitions to return. The press release has promised those who attend “welcome cocktails and a special programme”, as well as the opportunity to begin the “official countdown” to the museum’s full re-opening after a troubled period of reconstruction. 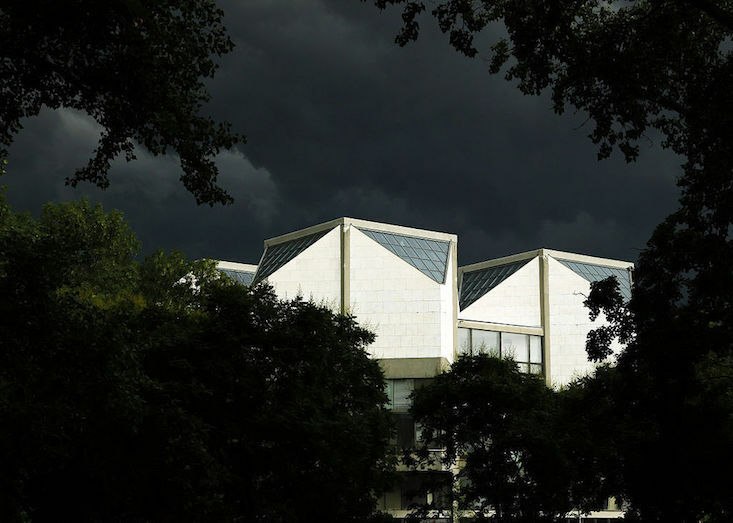 Built in 1965 by architects Ivan Antić and Ivanka Raspopović, the museum was declared a cultural monument in 1987. The renovation of the museum become a point of controversy, after the date of its re-opening was postponed multiple times. It had been hoped that the museum would be fully operational by the date of its fiftieth anniversary, but the removal of former director Jovan Despotović has added to an ever-growing list of obstacles. Executive director Slobodan Nakarada has said he expects the museum to be fully restored by March 2016.